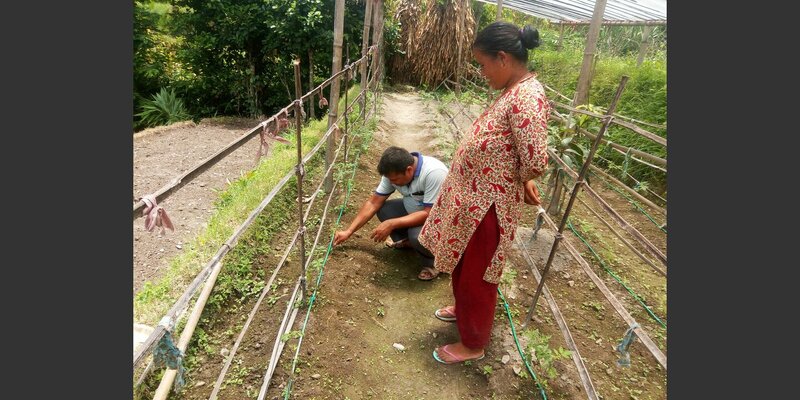 Under recent changes in government structures, agricultural extension services in Nepal have become the responsibility of local municipalities. The project Prayas works with such municipalities, building their capacities to respond to farmer needs for agricultural advice and services. 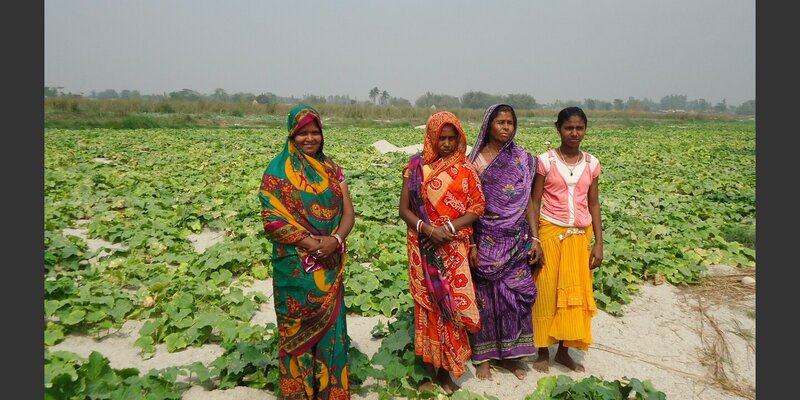 At the same time, Prayas works with the farmers, particularly women and other disadvantaged groups, to ensure that they obtain the support they need. This is an SDC mandate. Farming in the hills and inner valleys of Nepal is changing. New rural roads are rapidly opening up new market opportunities for the sale of crops such as potatoes and other vegetables, as well as livestock products. The effects of climate change are being felt in unpredictable weather patterns and new occurrences of pests and diseases. At the same time, there is a shortage of labour, with many men migrating abroad in search of paid work. This often places the burden of farm work on women or elderly men. Young people rarely see an exciting future in agriculture – although returning migrants bring the possibility to invest their savings in their farms. Support to farmers in innovative, remunerative and less labour-intensive farming practices is badly needed. Helvetas is implementing Prayas on behalf of the Swiss Agency for Development and Cooperation, SDC, and the Government of Nepal. The project is supporting a major process of decentralization of the government extension and research system. Municipalities which came into being in 2017 are now responsible for ensuring that farmers benefit from agricultural services and research that is responsive to their needs and demands. The project is supporting them to plan these services in a participatory manner, and oversee their transparent and efficient implementation. More than this, it is also supporting the municipalities to develop a full set of rules and guidelines about how they deliver agricultural extension services. Farming households are often members of different farmer groups, as well as cooperatives, Water User Associations, and similar organisations. They rely on a wide variety of sources of information and support – including government extension agents, private nurseries, agro-vets, and local resource persons (particularly knowledgeable and skilled farmers who can pass their knowledge to others). In developing their policies to support agricultural extension, the municipalities need to take all these actors into account. 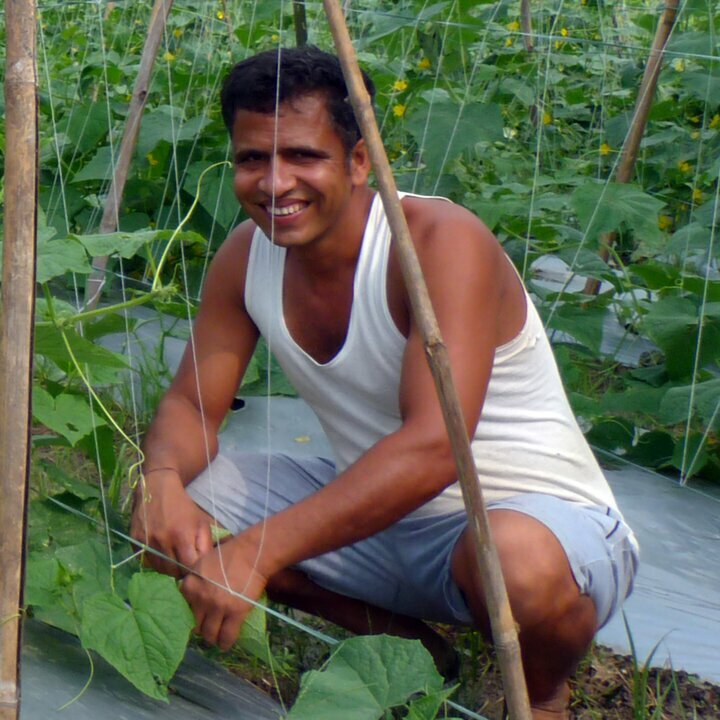 One mechanism used by Prayas to inform farmers about new techniques and cropping opportunities is Farmer Learning Centres – farms run by particularly innovative farmers, often returnee migrants who have decided to invest in agriculture. These serve as demonstration sites, and can be used for on-farm training. Another approach used is Farmer Business Schools, at which farmers learn the basics of business planning and keeping commercial records. These are held in collaboration with local chambers of commerce. The project partner for agricultural research is the National Council for Agricultural Research, NARC. This runs a number of local research stations at which farmers can see and learn from different trials of crop treatments and new varieties. Prayas has a target of 25,000 farming households to be reached by the end of 2019, plus an additional 15,000 farming households who are members of Water User Associations. Helvetas launched its first projects in 1956 in Nepal. Our operations have since expanded to include everything from vocational training to building bridges and reducing disaster-related risks.